A tough run on a beautiful trail in the Kisatchie National Forest. 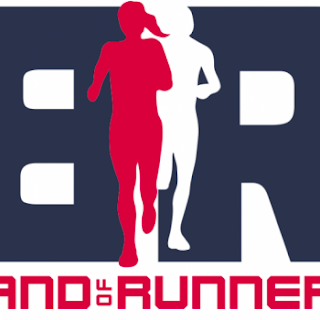 Because of our amazing Red Dirt runners, we are so very happy to announce that we are making a donation to Band of Runners, an organization whose mission is "to empower veterans and their surviving family members by sharing the community of trail running and the physical and psychological benefits running in nature provides". We all know of the close bonds that all trail runners have - even ones who just met - so this charity makes so much sense to me. I am honored to be a small part of this and I thank YOU for giving us the opportunity. Well, that our government has decided to attempt to work together and we are up and running, I have a fun announcement to make! It looks like we will have our first Red Dirt Trilogy member, after the race this year. The Red Dirt Trilogy is something we thought of last year to create a club of sorts for those who have done all three distances at the race. Once earned, you will receive a custom award for your efforts, and you will be recognized as a member of the club on the website. No real reason, just for fun. If all goes well, Brent Aymond will be the first Trilogy member this weekend. Brent started off with the 100k, then ran the 100 miler last year and is doing the 50k on Saturday - should be a walk in the park, right? Great job Brent! Looking forward to seeing you cross the finish line! Weather is holding up great so far. I will give a detailed trail update before each of the race starts. With Loup Garou in the rear view mirror, it is time to shift my focus onto another beautiful trail right here in Louisiana - the Sandstone Trail in Kisatchie National Forest for our third installment of the Red Dirt Ultra. In 2017 and 2018, we had polar opposite weather conditions - in 2017, the weather was clear and cold and the trail was in excellent shape. In 2018, the trail was sticky and slippery and it poured rain for most of the second half of the race. Here is hoping that 2019 is back to clear and cold. I love this trail and this national park. When we drive up there to run it from south Louisiana, we feel like we are in a completely different state with the piney woods, ridge lines, and expansive views. The soft trail and lack of any real roots is always a nice change, too. There are a couple of spots with some loose sand (Sandstone Trail), but those spots are few and short, and are more than made up for with the clear, soft packed spots that are so much fun to run! This year we are adding a rope to Spa 21 (a water crossing just past the mile 21 marker), just in case we encounter flooding like we had last year. Normally, you can make it across this spot without getting your feet wet, but we have learned with excessive rain, it can get a bit higher. :-) It just adds an element of adventure into your run. 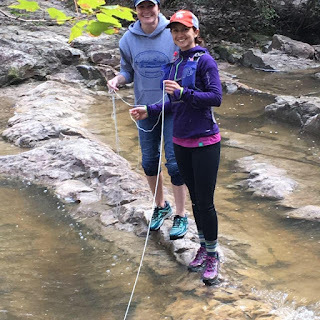 Measuring a water crossing can be hard work. As with Loup Garou, there are no earlier cutoffs for the 50k and 100k. You have the same time cutoff as the 100 milers, so there is plenty of time if you want to hike the loop, or if you are interested in doing your first ultra, but you are worried about your time. If we are going to be out there all night, I don't see any reason to kick you guys off of the trail early. Once again, we are also bringing Red Dirt Ultra labelled beer along to give out at packet pickup, as well as plenty to have on ice for the finish line, and our friends with Terra Rouge Cafe will be back with all of the hot food you want after the race. Red Dirt 2018 - WOW! 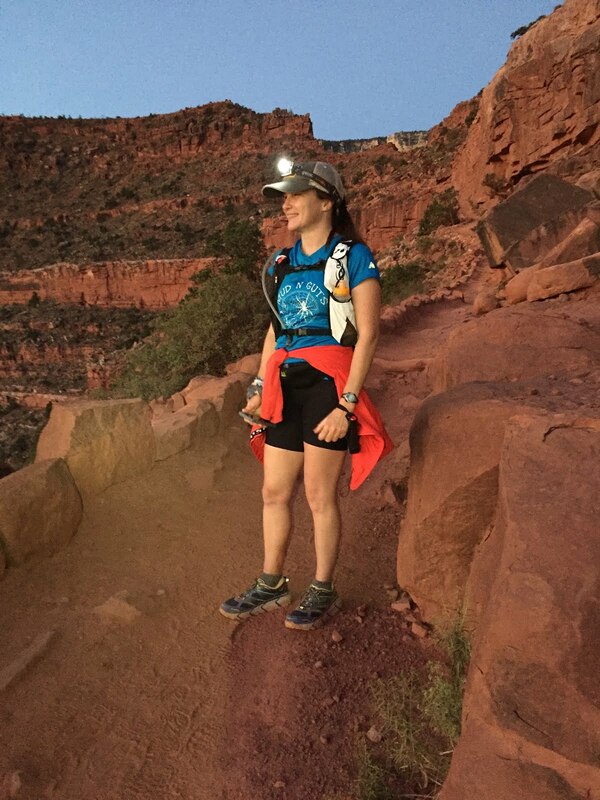 Heading into the 2nd annual Red Dirt Ultra, and pre-race jitters are affecting more than just the runners. Click the picture for the article. 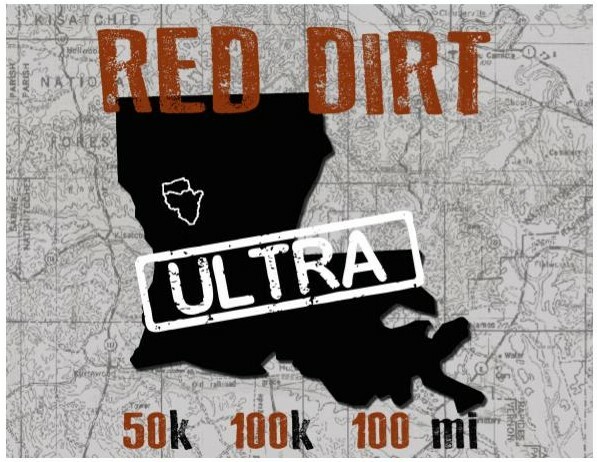 Great video from our friends at Pang Wangle highlighting the trails of Chicot State Park, and an interview with the Red Dirt Ultra race director, Edie Couvillon, about her thoughts on the 100 mile distance. I love it when people take a chance on something. I love it when they make the decision to attempt a new challenge, and I ESPECIALLY love it when they do so at one of my races. 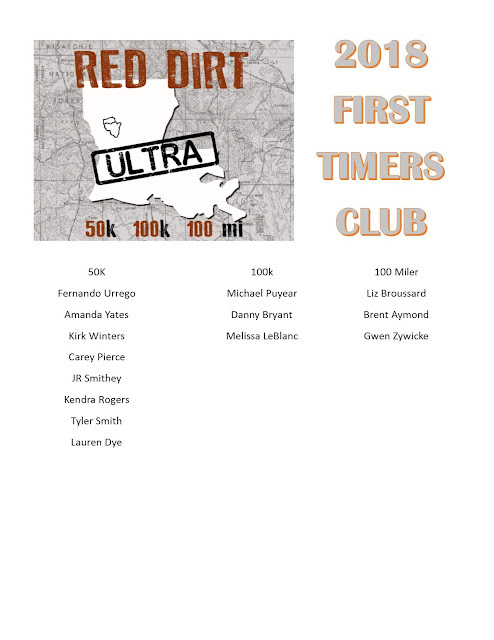 That is why, at the first Red Dirt Ultra last February, we started the First Timer's Club. This is a club consisting of all of the folks attempting a new distance for the first time at Red Dirt. I wanted to reward their courage as well as their faith in me and my awesome team but giving a small token of my gratitude. Last year it was a Red Dirt buff as well as a custom window decal with the race logo as well as their distance. This is a really big deal and I am so excited to hand each of these folks their medal or buckle! If you are also attempting a new distance for the first time at Red Dirt, and aren't on the list yet, email me (Edie) at PaixRunning@gmail.com so I can add you in to be sure you receive your goodies! THANK YOU to all of you for having faith in us. You have to do the work to finish, but we will take care of everything else!